Welcome to this month’s Blogorail Yellow Loop. 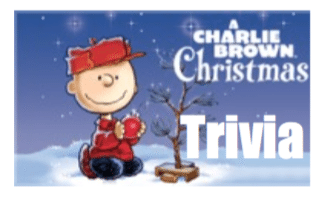 Today we are sharing our Favorite Holiday Movies and TV Specials. We have a long list of “traditions” we try to get to every Christmas, like most American families. I use quotation marks because I realize something isn’t exactly a tradition if it doesn’t happen consistently, but the reality is that life is just busier each year and some things don’t happen annually. Still, the same list (or a larger one!) is made each year, and though it may look more like a “Christmas Bucket List” than a list of must-dos, we still cherish the memories made time and again doing some of our favorite Christmas activities. All that said, there is one tradition that happens absolutely every year, without fail. 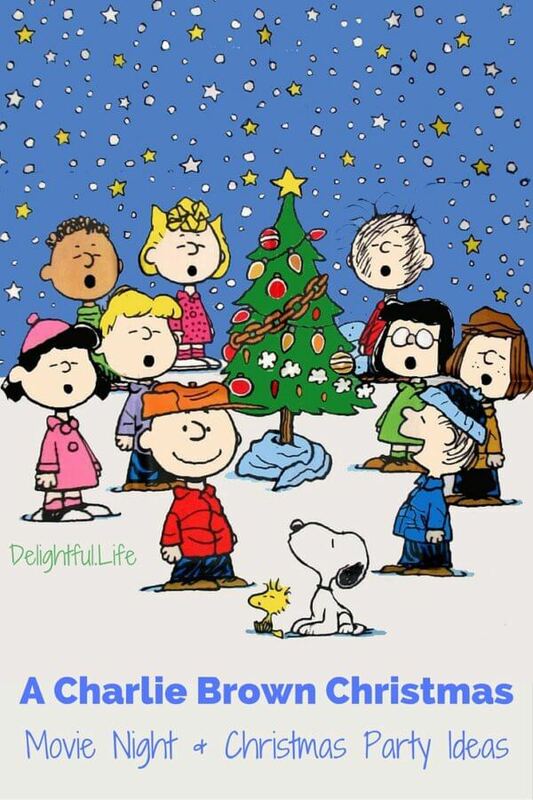 For as long as I can remember from childhood and then seamlessly into my own children’s, we gather together to watch “A Charlie Brown Christmas“. It’s timeless, poignant, and powerful. It’s just the right length no matter what age your children are. The Vince Guaraldi Trio soundtrack is flawless. Truthfully, it doesn’t need anything to make the night wonderful. 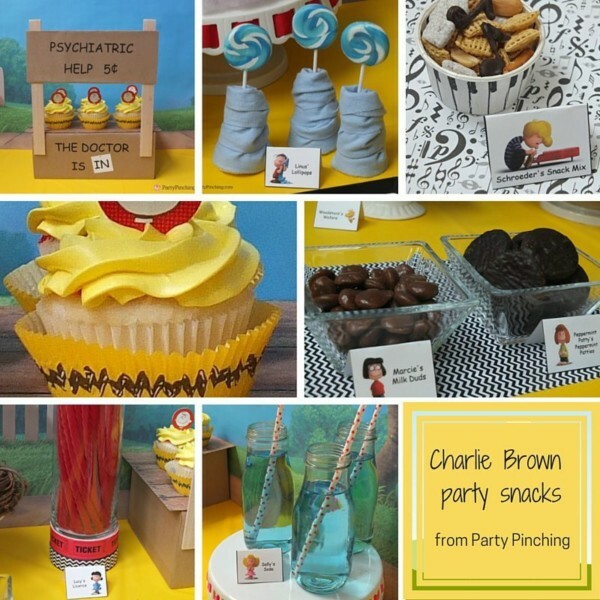 Party Pinching has the most spectacular lineup of party snacks: Linus’ Lollipops, Lucy’s Licorice, Schroeder’s Snack Mix (with a really simple, really effective way to create chocolate music notes! ), and of course, Peppermint Patty’s Peppermint Patties. 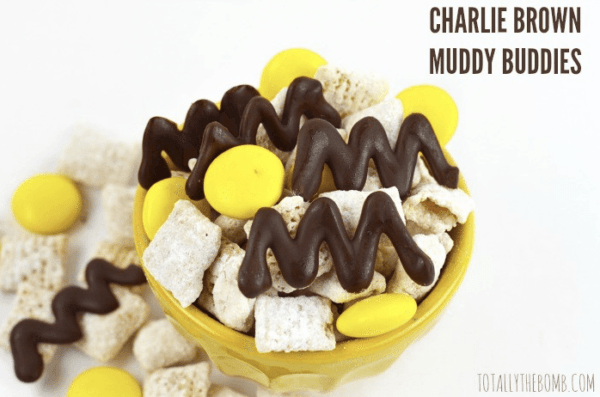 Totally the Bomb has put together the most perfect Charlie Brown Muddy Buddies. 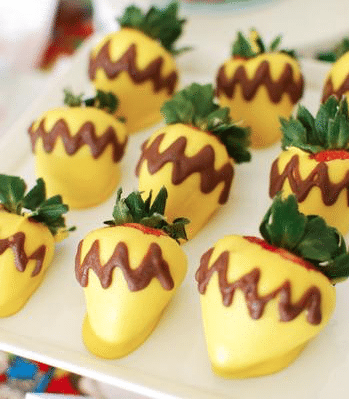 A chocolate zig zag, lemony, white chocolate covered Chex, and yellow M&Ms. Once again, Piggy Bank Parties has spectacular and easy-to-implement decor. 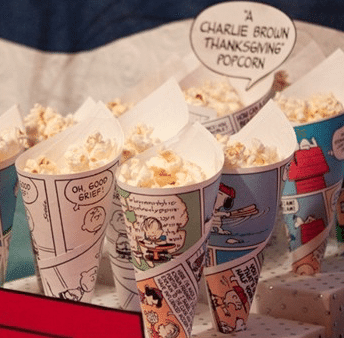 Check out the use of comic strips for popcorn cones and garland! 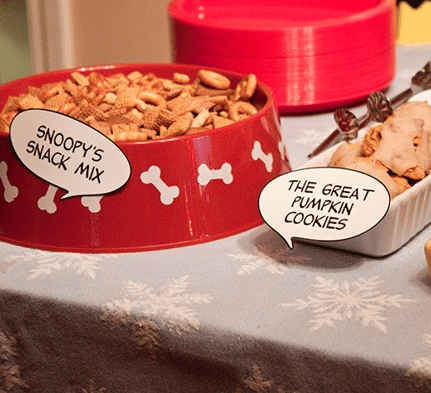 Carrie Elle has some super cute, super easy treat bag printables inspired by Charlie Brown and Snoopy. 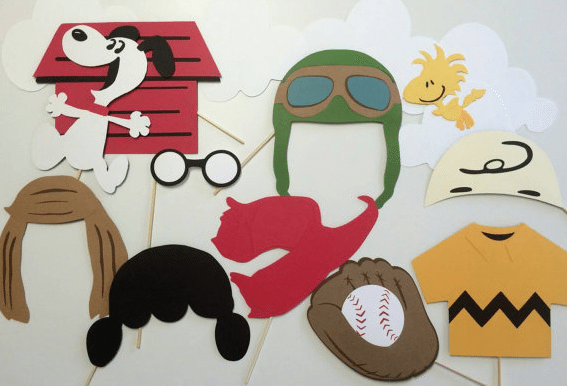 Dress up as your favorite character with these adorable photo booth props. You can purchase them here, or make some of your own! If you’re throwing an actual party, Oriental Trading has some super cute decorations, craft kits, favors, and activities. 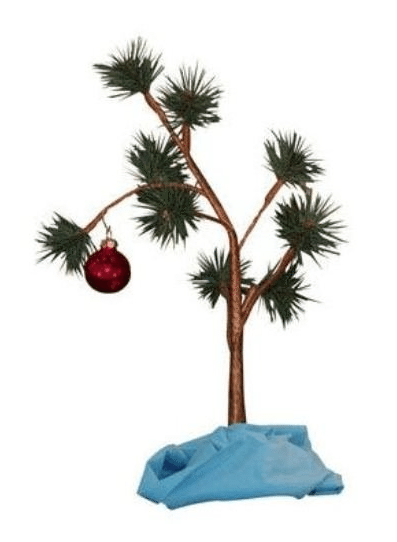 You’ll also need the official Charlie Brown tree. Obviously. 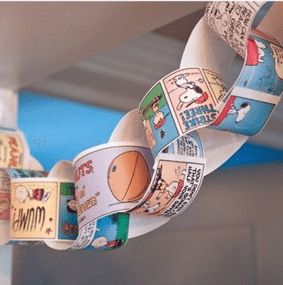 While you’re waiting to watch the movie, why not color in some of these free printable pages from Peanuts? 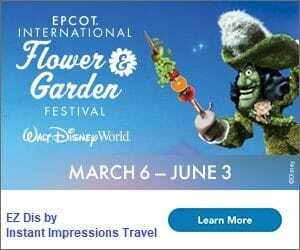 If the kids have a little steam to burn off, pick a character and learn their sweet moves from the quintessential dance party! … and don’t forget to play the soundtrack in the background before and after you watch! I can’t wait until after our movie night to share pictures. I’d love to see yours, too! This sounds like an AWESOME movie night. Can I come? I am LOVING those chocolate music notes – what a cute idea that snack mix would be for music teachers! I think I’m going to make some! This is a wonderful post Jennifer! I love this movie and the soundtrack. You have such cute treats and crafts. This is a great idea! 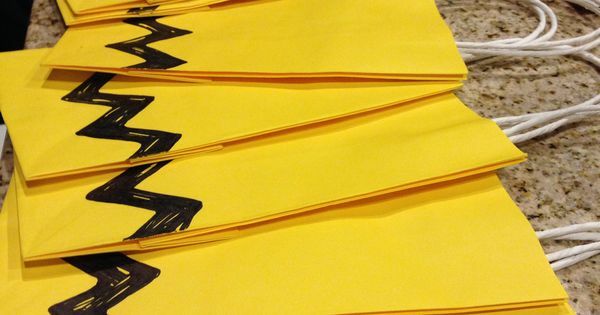 I have always dreamed of throwing a Charlie Brown themed party and these ideas are great! 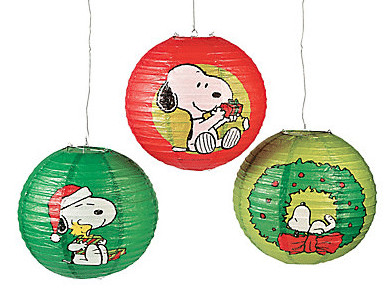 Charlie Brown Christmas is a tradition of ours as well. It’s just not the holiday season without it! Can I come to your house to watch?!! What great ideas. 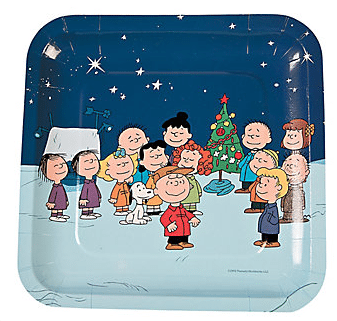 I am about at the level of using dog food bowls at serving platters but there so many wonderful ideas here to make a Charlie Brown Christmas a viewing to remember. Oh. My. Goodness. Jennifer this is so awesome! 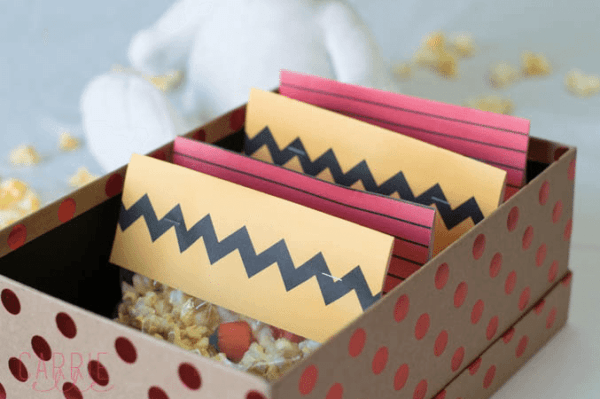 Charlie Brown is also a family favorite, this would be a great Peanuts party to throw for a birthday! You’ve done a wonderful job! This would be a definite party of all parties!! 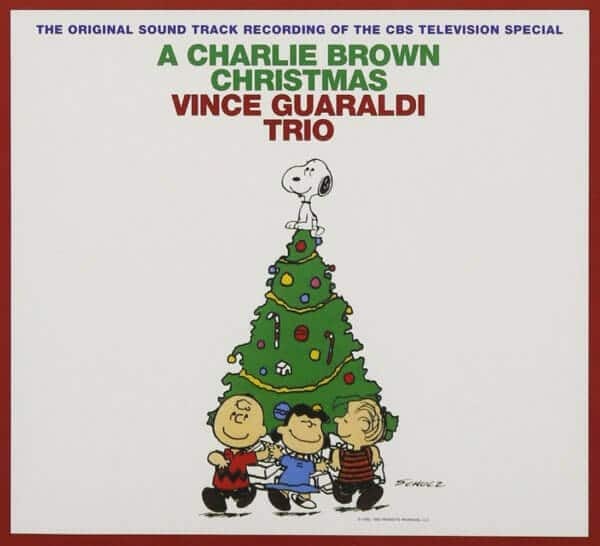 We listen to Vince Guaraldi Trio year around! Haha! Great post!